Technology is everywhere; almost in every part of the world. It mainly deals with how we live, use, work, and most importantly learn. We all are just surrounded by technology, be it at home or at the office. Its invasions have made all our lives easier and we cannot imagine living without it. Moreover, technology has changed the method of both teaching and learning. Both schools and colleges have succeeded by using this changed method of teaching from blackboard to an interactive whiteboard classroom. There are countless reasons to prove the importance of technology in education and let us see some points about it. Biology is the natural science which is all about the human life, environment, plants, animals, etc. It is a heavy course, all about diagrams and live experiments. Both, theory and practical’s have an equal importance in this course. The use of the mobile apps or applications in the field of the education has led to the introduction of new learning methods from recent years. There are more than 6000 interactive mobile apps developed to help the students to make learning fun and easy. These biology apps can be easily used by downloading them in any Android device. These Apps includes Anatomy apps, biology quiz apps, biology formulae apps and other lessons app which includes a complete description of cells, tissues, the human body, etc. along with the respective diagrams, labeling and other relevant information. Schools have permitted the students of higher classes to use mobile learning apps to improve their skills. By these new emerging technologies in the classroom, such as computers, tablets, and mobiles, students are able to access the maximum updated information quicker and easier before teacher presents the lecture. Nowadays, students prefer to learn more from these technologies because it makes learning more interesting and fun. Especially the use of smart boards in their classroom as they can show their involvement by sharing and participating in the instructional process and making the traditional boring class more interesting and interactive. The combination of a new technology such as virtual reality with traditional classrooms helps to develop the learning experience for students and also increases the student-teacher involvement. Visualizing Biology is a new technology through which teachers can explain the complete concept about different biology diagrams in their classroom. It is a new computer simulation that can be presented with an interactive whiteboard or on normal computers. With this technology, students can have clear three-dimensional images of proteins, carbohydrates, DNA structures and lot more. It provides a better visual concept compared to the textbook drawings. Thanks to these technologies, as it has reduced the work of teachers who used to prepare themselves with all important points, charts, notes, etc. before their class. Using technologies like virtual lesson plans, PowerPoint presentations, and other internet resources, they can save their time and spend more time with the students by engaging the class with more educational games, seminar, debates and assigning the students with projects, etc. These were some important points about the importance of using technology in a Biology classroom. 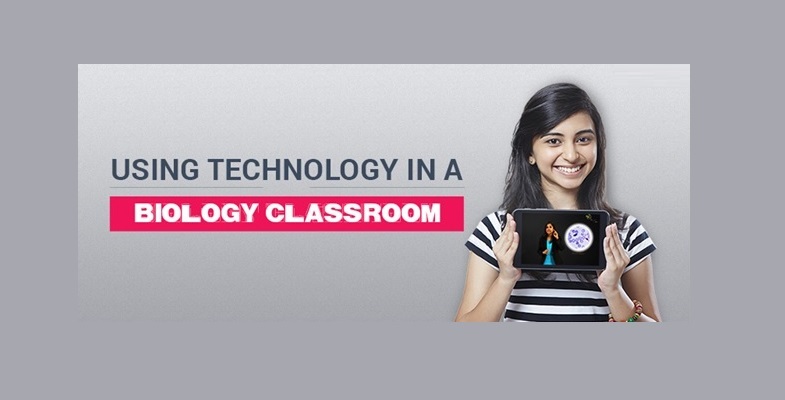 For more information, students can subscribe to BYJU’S YouTube channel and check the YouTube videos to understand the importance of using technology in a Biology classroom and also learn about science-related topics from various engaging video lessons provided in the channel.